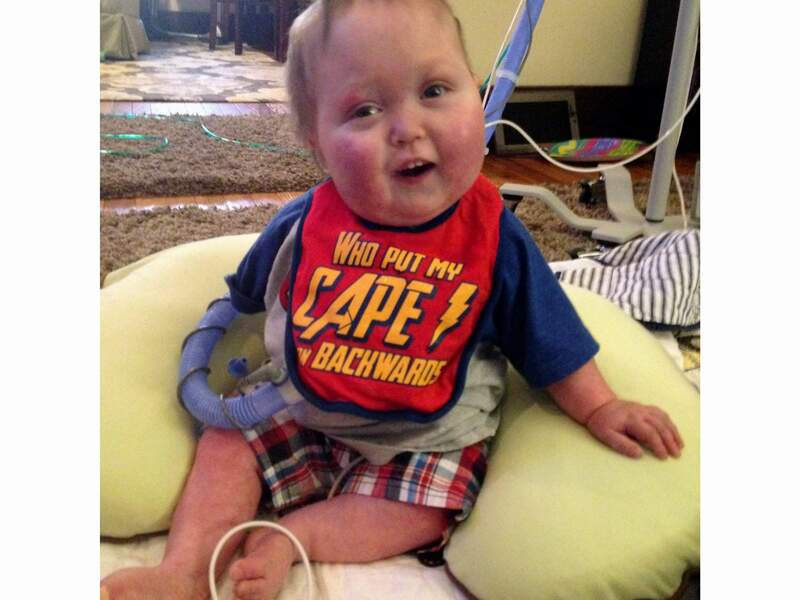 Ian Orbich of Pittsburgh, 17 months old, received an experimental airway splint a year ago to help him breathe. University of Michigan researchers used a 3D printer to create the devices that held open weakened airways in three boys, credited with saving their lives. NEW YORK – Like any fast-developing technology, 3D printing, described more technically as “additive manufacturing,” is susceptible to a variety of misconceptions. When the stock price of the leading printer manufacturers was free-falling in 2016, Inc. magazine announced that 3D printing was “dying,” mostly because people were realizing the high cost of printer feedstock. But a variety of new techniques for additive manufacturing are proving those premises wrong. Desktop Metal’s Single Pass Jetting, HP’s Multi Jet Fusion and Carbon’s Digital Light Synthesis can all make products in minutes, not hours. Lab tests show that these printers are cost-competitive with conventional manufacturing in the tens or even hundreds of thousands of units. Many of the newest printers also use lower-price commodity materials rather than specially formulated proprietary feedstocks, so the cost is falling rapidly. TechRepublic warned in 2014 that 3D printing from “plastic filament can’t make anything too sturdy,” which would further limit the size of printed objects. But some techniques, such as Big Area Additive Manufacturing, work in the open air and can generate highly resilient pieces. They’ve been used to build products from automobiles to jet fighters. A new method for building involves a roving “printer bot” that gradually adds fast-hardening materials to carry out the construction. This spring, a Dutch company completed a pedestrian bridge using 3Dprinting methods. Myth No. 3: 3D printers only produce low quality productsAs anyone who’s handled a crude 3D-printed keychain can probably guess, the hardest part of 3D printing is ensuring that a product looks good. When you print layer upon layer, you don’t get the nice smooth finish of conventional manufacturing. “There’s no device that you’re using today that can be 3D printed to the standard you’re going to accept as the consumer,” said Liam Casey, the chief executive of PCH International, back in 2015. The Additive Manufacturing and 3D Printing Research Group at the University of Nottinghamin Britain likewise predicted that high post-printing costs, among other challenges, would help keep 3D printing from expanding much beyond customized or highly complex parts. But some new additive techniques, such as Digital Light Synthesis, can generate a high-quality finish from the start. That’s because they aren’t based on layering. The products are monolithic – they emerge smoothly from a vat of liquid, similar to the reassembled robot in the “Terminator” movies. Other printer manufacturers are building automated hybrid systems that combine 3D-printed products with conventional finishing, so you get most of the benefits of additive with only a bit more cost. If we think of quality more broadly, additive is likely to improve on conventional products. That’s because 3D printing can handle sophisticated internal structures and radical geometries that would be impossible via conventional manufacturing. Myth No. 4: 3D printing will give us artificial organsOne of the most exciting areas of additive manufacturing is bioprinting. Thousands of people die every year waiting for replacement hearts, kidneys and other organs, If we could generate artificial organs, we could eliminate a leading cause of death in the United States. We’ve already made major advances with customized 3D-printed prosthetics and orthodontics, and most hearing aids now come from additive manufacturing. Why not organs? But scientists have yet to crack the fundamental problem of creating life. The most promising current work focuses on artificial skin, which is of special interest to cosmetic companies looking for an unlimited supply of skin for testing new products. Skin is the easiest organ to manufacture because it’s relatively stable, but success is several years away at best. Other organs are decades away from reality: Even if we could solve the capillary problem, the cost of each organ might be prohibitive. Myth No. 5: Small-scale users will dominate 3D printingIn his best-selling 2012 book, “Makers: The New Industrial Revolution,” Chris Anderson argued that 3D printing would usher in a decentralized economy of people generating small quantities of products for local use from printers at home or in community workshops. In reality, relatively few individuals have bought 3D printers. Corporations and educational institutions have purchased the majority of them, and that trend is unlikely to change. Over time, 3Dprinting may bring about the opposite of Anderson’s vision: a world where corporate manufacturers, not ordinary civilians, are empowered by the technology. With 3Dprinting, companies can make a specialized product one month, then switch to a different kind of product the next if demand falls. Such changes would be costly and time-consuming with conventional techniques, but 3Dprinting makes manufacturing far more flexible.